It is the journalist's lot to understand more about their chosen field than they can ever offer up to their audience. In any industry - particularly those worth billions in revenue every single year - collateral damage is the unfortunate reality of making tough decisions. Progress for one company often creates a sterner test for another, and being on the losing end of that dynamic is frustrating, to say the least. But actually expressing that frustration is another matter. Sincerity isn't always good for business, and it's bitterly ironic that the more a situation seems to merit a genuine or honest response the rarer a commodity that becomes. That's what made the aftermath of Microsoft's decision to remove the Kinect as an essential part of the Xbox One so refreshing. Here was a hard decision, one all but demanded by the market, and one that would leave a number of invested developers at a real disadvantage. When something like that happens, 99 times out of 100 everyone will keep quiet and maintain composure. This time, however, there was a response. Harmonix took to Twitter. That's John Drake, now the director of portfolio strategy for SCEA, but at that point the director of publishing and PR at Harmonix. And that's Nick Chester, a publicist at the studio that rose to fame, and considerable value, with games like Guitar Hero and Rock Band, and was hard at work finishing the Kinect-only Fantasia: Music Evolved for its scheduled October release. If these tweets seem like expressions of frustration and perhaps surprise, that may well be because they are. In fact, if you look closely, you can actually see the sarcasm dripping from both. "We've worked with Microsoft for years, and we had some awareness of the plan. So it wasn't a surprise"
The decision to make Kinect mandatory was unpopular from the start, but it's probably no understatement to suggest that Fantasia was the most exciting game in development for the device. For Harmonix, absorbing such a crucial blow to public perception and - let's face it - commercial potential less than six months before launch must have been difficult. It clearly was for John Drake and Nick Chester. So, given the opportunity to speak to Alex Rigopulos, the chairman and CCO of Harmonix, at Gamelab in Barcelona, I'm compelled to dig deeper. Was Microsoft's decision really the unwelcome surprise that the responses from Drake and Chester indicated? "No," Rigopulos says firmly. "We've worked with Microsoft for years, and we had some awareness of the plan. So it wasn't a surprise actually." Rigopulos won't be drawn any further on the tone and content of those tweets, but then this isn't the first time Harmonix has released a game that requires an additional purchase to make it work. With or without Kinect in the box as standard, the goal remains the same. "Look," Rigopulos replies. "I basically view it as our responsibility to make games that are sufficiently compelling for players to be motivated to pick up the hardware they need to play them. 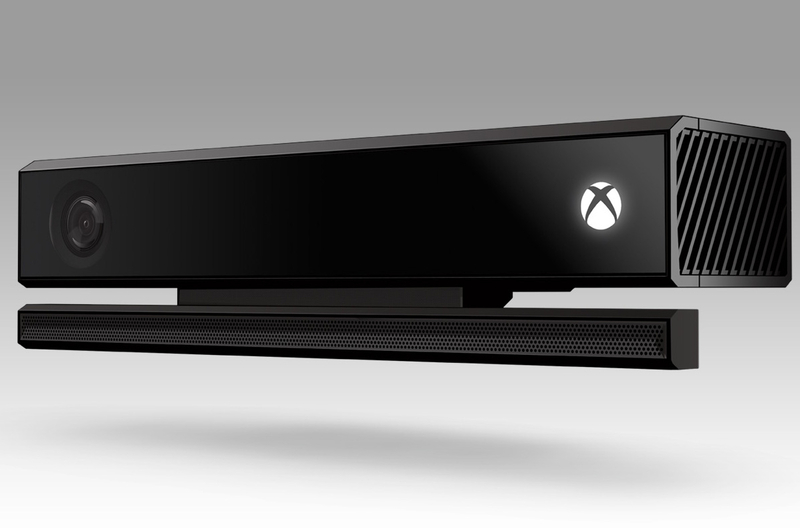 If you look back to the last generation, the original Kinect was not bundled with the 360. It was independent, and still millions of people bought the Kinect so they could play Dance Central, among others. Our hope is that Dance Central Spotlight and Fantasia: Music Evolved will be good enough to sell the hardware. We'll be trying to make the games that make that worthwhile." And Harmonix has a long and admirable history of doing just that, a history it chose to revisit with a HD reboot of its sophomore game, Amplitude. Back in 2003, Amplitude was a critical smash - if not a commercial one - and the ensuing rise and fall of the music genre did nothing to sully its reputation. When Harmonix revealed that it would raise $775,000 through Kickstarter to get the project off the ground, it seemed clear to me that Amplitude HD would raise that amount and probably much more besides. But that isn't what happened. "The fact is that our hit games were years ago, and we're just like any other independent studio - we need to find ways to fund our games"
Amplitude HD will be marked down as a victory for Harmonix, then, but it would be disingenuous to ignore the fine margin by which that victory was achieved. The fact that crowdfunding is now a more challenging environment than it was in the boom months of Double Fine Adventure and Wasteland 2 is well understood, but Amplitude HD's struggle nevertheless seems remarkable, and practically demands further analysis. According to Rigopulos, the biggest problem was the game's target platform. For the most part, the phenomenon of crowdfunded games is confined to the PC, with very few high profile examples of successful console-focused campaigns. "That's difficult for the Kickstarter audience," Rigopulos says. "We weren't sure how much of a problem that would prove to be, but in practice we had so many people telling us, 'If there were a PC version then this would be easy.'" Another major problem was more surprising still. When Double Fine made millions back in March of 2012 the general view of crowdfunding was unshakably optimistic. It seemed to gesture towards some nebulous future where creators and their audiences could enjoy the untrammeled fruits of a close relationship, free from corporate interference. Whether that fanciful dream still survives in the harsher climes of 2014 is open to debate, but Rigopulos has detected a clear change in the Kickstarter community. He doesn't attach any particular word to the new prevailing mood, but people are more wary now, perhaps even a touch cynical. "One of the things that we really underestimated was how polarised the Kickstarter community has become following events like the Facebook acquisition of Oculus, for example," he says. "A lot of people felt betrayed by that. Something that we didn't expect, but that turned out to be a significant factor, was that a lot of that audience felt almost insulted that a company like Harmonix would be turning to Kickstarter. "People have the image of us as this company sitting on big piles of Rock Band money, and that we don't need crowdfunding for our games. But it's just not the truth. The fact is that our hit games were years ago, and we're just like any other independent studio - we need to find ways to fund our games." This is also linked to a lack of understanding on the part of the average Kickstarter backer. A person doesn't need to know the minute details of how the games industry works to love its products, and the decision to spend 20, 50 or however many dollars generally derives from that passion. When Harmonix set a $775,000 target it did so with the intrinsic knowledge that Amplitude HD would cost a lot more than that to actually make. The point of Kickstarter was as much to spread the word and prove the market for the game as it was to secure every cent of the development cost, but, as Rigopulos came to realise, it may not look that way to a potential backer. "Rationally you shouldn't see Kickstarter as anything other than a pre-order, but that's not how people feel. They feel like investors"
"That's [$775,000] actually quite a small fraction of what we'll have to spend to get the game built," he says. "We underestimated the degree to which we would have to educate the audience about the reality of what it's like to be an independent studio." Ultimately, Rigopulos sees this as just one more teething problem for a new way of funding and creating games that he finds genuinely exciting. In the heady days when multimillion dollar Kickstarter campaigns seemed to arrive every month the more pessimistic among us looked ahead to a collapse, a crash, a bursting bubble, the whole beautiful dream brought low by inadequate products and a handful of colossal failures. That outcome seems less likely all the time, but these lulls in crowdfunding's forward march are perhaps an inevitable consequence of the public coming to terms with its own role in the process. People who put their money down on a Kickstarter campaign aren't technically investors, but technicalities matter very little when that's exactly how they feel. "It's really a beautiful model if it can be made to work," Rigopulos says. "It's new, so there are some issues that need to be worked out, but in time I think it'll be a very important model that Harmonix will continue to explore. "If you look at it rationally, you're effectively pre ordering a product. You're spending money to buy a product in advance and at the same time fund its development. So rationally you shouldn't see it as anything other than a pre-order. But the fact is that's not how people feel. They feel like investors. "It doesn't matter that it's not rational. We're not fully rational creatures, and one of the things that became apparent to us is that sentiment - of feeling like an investor who's betrayed if something is successful - is quite a new and powerful thing in the Kickstarter community. The community is going to need time to process that." The unbundling must have hit Harmonix as hard as anyone, so it's great to see such a positive outlook from Alex. 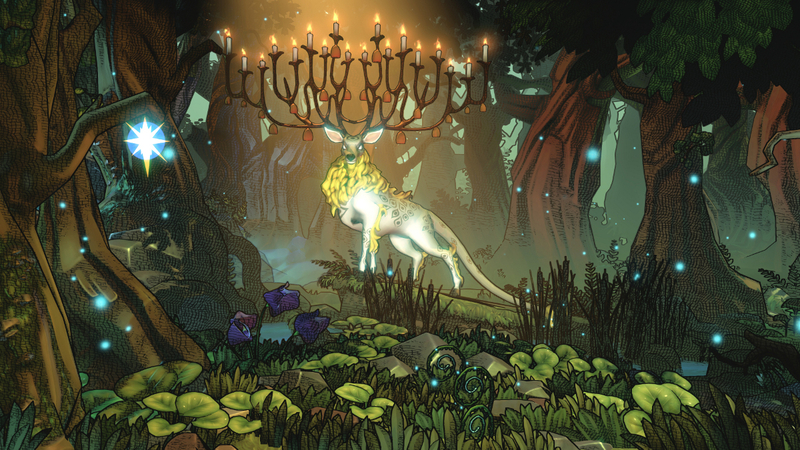 I really hope Fantasia works out well for them this Christmas - I really loved it when I played it, probably my favourite Kinect experience after Child of Eden, it deserves every success. Think I believe John and Nick more than Alex on the unbundling thing . . . I agree with a lot of Alex's views on how important perception of a company is on Kickstarter. Sounds like they have had a massive learning curve but I'm pretty surprised that they weren't a little more self aware about how people viewed them. We're talking about a company that churned out a lot of titles that for the most part built on content rather than major extensions to gameplay, which gives the perception of that company a certain flavour. Obviously not helped that a lot of people psychologically bundle a lot of the music games together. From that point of view, in the heyday, there seemed to be a new game coming out all the time for the clade of companies attached to the genre. Rightly or wrongly, I can see how from the perspective of a consumer that that would make Harmonix in a very different group to the developers that have seen so much success on Kickstarter. It paints quite a stark contrast to the Tim Shafers etc. When the Kickstarter community outcry happened about the Oculus acquisition by Facebook, I couldn't resist thinking that this was the crystallization moment for the masses of how precisely a backer differs from an investor. Not in perception, but in raw reality. If you're an early angel investor in a start-up, a 2-billion dollar acquisition of that start-up is usually taken as good news, because a chunk of that increased value goes straight into your wallet. In the case of the Kickstarter backers, they helped bring Oculus to the point where the FB acquisition is even a possibility, yet they still get pretty much the same deal as before, meaning what they preordered, except now the thing is going to be altered by Facebook's strategic vision. For better or for worse, that's another debate entirely. What's important is that backers are more than just early adopters, they think of themselves as a community, and they like the fact that successful projects listen to their input. That bond is very important to them (in general). What they don't like is seeing their voice diluted by such a big money acquisition... without even getting a taste of it. There is no consolation prize, so to speak. In my opinion, there was an opportunity for Oculus to deal with this differently and turn it into positive spin. By offering for example an easy-peasy 150% refund program to all backers who want out, and for those who stay in a 30% rebate + privileged access to a monthly participative online conference about the project new progress (getting them excited again). Or something else. The idea being: giving the community a personal taste of the win (as well as an opt-out exit if they don't feel like it's a win) would have dramatically decreased the level of vitriol imho. The Oculus moment came and went and speculating about what could have been will not lead us anywhere. However, reading this insight from Alex Rigopulos about how this big event (and others) have ramifications across the entire platform, I'm wondering if the ball shouldn't in fact ultimately be in Kickstarter's hands. If you think about it, if Kickstarter is here to stick around for say 10 or 100 years, this is just the first of a long series of projects that will end up in disagreement over shift of vision, between founders and backers. I'm certainly not building an argument that backers should be treated as traditional investors. I'm only saying that Kickstarter could improve the back-office tools and options for after sales management of projects. One thing would be to simply allow, enable, facilitate and simplify the voluntary run of vast refunding programs by project owners throwing the towel and miraculously still solvant. Furthermore, these "refund offers" could be optional if the disagreement is about vision, game-changing contract or M&A related matters. Second would be to give project owners the ability to generously offer more than 100% refund if they think it's appropriate (with a maximum cap set at their funding capacity and will) + possibility to offer rebate or gift to those who opt to stay. And finally, third and final step (possibly much later) would be for a community of backers to have some sort of veto-by-referendum capacity where they can request a massive refund program to be studied by the project owner if say 50% (or 75%?) of them vote in favor of that (prior to delivery of goods, naturally). The long game is all about maintaining trust. I think that enthusiasm from the gamer part of the Kickstarter crowd is understandably tempered by the fact that those high profile projects we funded a few years ago arn't finished and we can't see if our original excitement paid off. Double Fine ran out of money, smaller projects like Code Hero burnt out and are stuck in limbo. There won't be the same excitement until we see some results. Also, that crowd is largely made up of people who remember the anything goes creativity of the 90s PC gaming scene, and feel they aren't being surviced. It is totally a PC scene. It is an unknown quantity for console gaming, and add to that we are in a generational transition where a lot of people haven't got a new console, so won't plan for PS4, but know they may before the project is finished. A PC version definitely would have been sensible. I definitely see. Kickstarter being a source of more runs of Rick band instruments, or of compatibility hubs for existing controllers (adapting the Microsoft PC controller puck should be a snap). There's no way they can afford new runs of instruments without someone behind them. Of course, supporting us vocalists is cheap ABD easy! I also definitely see potential in app based instruments, at least for drums and keys so that all they have to do is a new run of guitas. The survey I got definitely says they want to do something. If your project is so big that KickStarters target will only help fund a small part of development, the project is to big for KickStarter IMO.